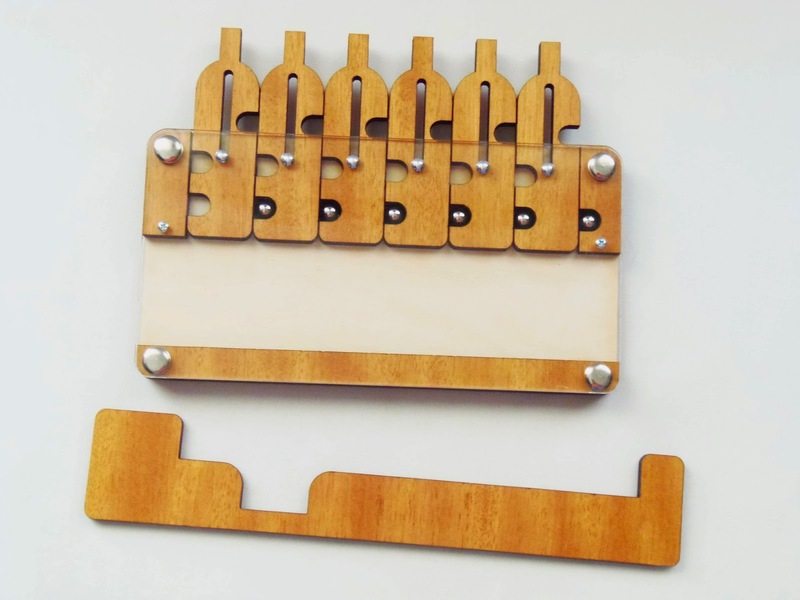 Jean Claude Constantin is among a small group of elite designers that make the best n-ary puzzles currently in the market. 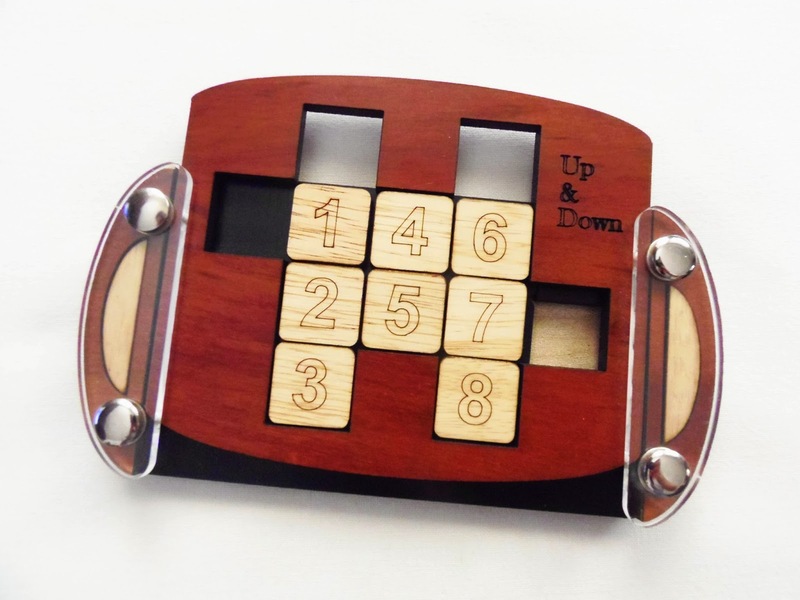 Very popular among experienced puzzlers, n-ary puzzles are some of the hardest puzzles you can attempt to solve, especially if said puzzles require hundreds of steps to be solved. Why are these puzzles so hard, you might be asking? Simple. You need lots of concentration, and that's very hard to do when we're talking hundreds of steps that need to be performed in a specific order. Lose your train of thought for a moment and you'll struggle to resume the solving process. Add that to the fact that most puzzles lack a simple way to be reset, and you're left with a hell of a challenge. 6 Bottles is my latest n-ary acquisition. The puzzle has a very original and interesting design. I haven't seen anything closely resembling it in the n-ary family. There are six identical bottle-shaped pieces that slide vertically and a bar that moves horizontally. The movement of the bar is restricted by the position of the steel balls that allow only one bottle at a time to move freely up and down. The bar itself has two slots, one deeper than the other, which also allow two bottles to be moved down at different lengths. The idea is to get five of the steel balls in the lower left slot of the five leftmost bottles, and the sixth ball in the special slot located at the far right. Once all the bottles can be pulled at the same length outside the frame, you'll be able to slide the bar all the way and remove it. This puzzle belongs to the 3-ary, or ternary group. The number in the "ary" word refers to the states a puzzle has in its solving process. For example, the binary puzzles, which are the simplest - but not necessarily the easiest - have only two states (on-off). The difficulty, besides its n-ary group, is also given for the number of steps the solution has - the more steps, the more difficult it is. Fortunately, the 6 Bottles puzzles is not that difficult because it doesn't have a large number of steps - still, 252 is challenging enough. The puzzle is rated as a level 9/10, but honestly, I don't believe it's that hard. It's an 8 at the most, and that's being generous. 6 Bottles can be a great puzzle to train for harder and demanding n-ary puzzles. It's not overly difficult, so you can easily understand how these puzzles work and know the logic behind them. As a Constantin fan, I can easily recommend this puzzle to anyone, collector or not. Availability: The 6 Bottles puzzle can be purchased at PuzzleMaster for about $50 CAD. Click here to browse many more Constantin's interesting designs. πano is a really interesting design by Jean Claude Constantin. 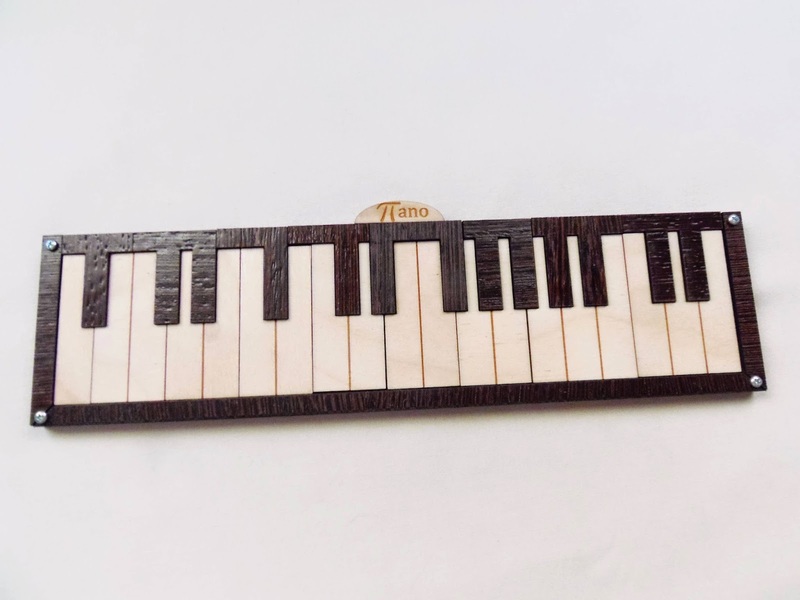 It's not a perfect representation of a piano, because of the arrangement of the keyboard keys, but nevertheless it can be instantly recognized as such. The name makes a play on words with the mathematical constant π, but I'm not entirely sure the solution has anything to do with it. It's still a nice design touch, though. πano is comprised of 17 pieces (not to be confused wit the representation of 32 keyboard keys), each grouping two or more keys at a time in a single piece. The pieces can be divided in two types, the white keys and the black keys - No piece consists of a mixture of both. 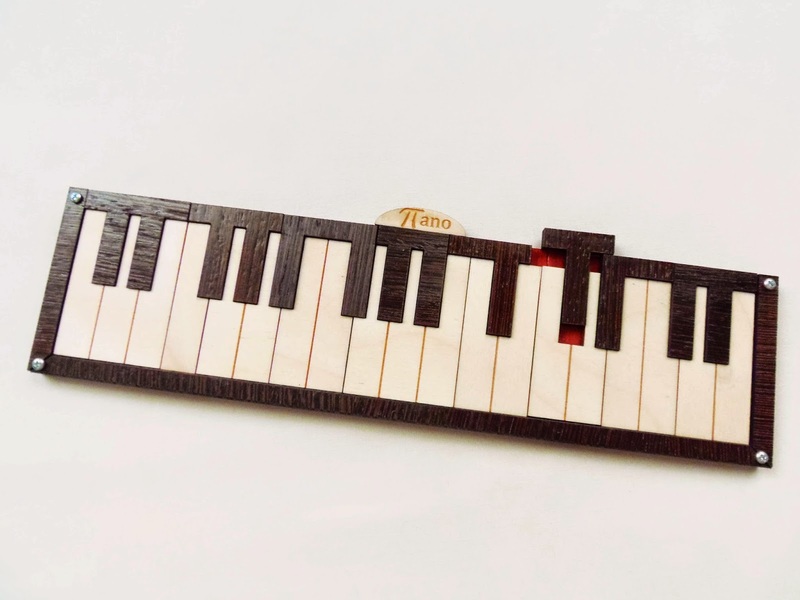 Design-wise, and besides the not so perfect representation of a piano, the puzzle is very well done. The colors used make a distinct contrast between the two types of pieces, which are laser-cut. The photo is a little deceiving, because the puzzle is a little shorter than I was expecting, measuring 26.1cm x 6.2cm (10.3" x 2.4"). It's still a nice puzzle, but I would've preferred a slightly larger one. The puzzle comes unsolved and no solution is provided, not in the package nor on the website. 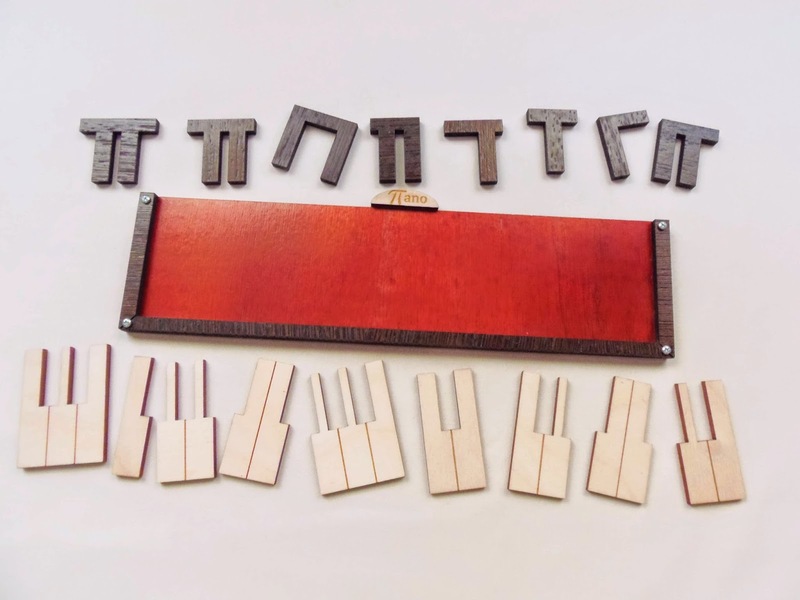 To solve it, you have to remove all the pieces from the tray and rearrange them so all pieces stay within the boarders of the piano's frame. You can use both sides of the black pieces, however, the white pieces are only marked on one side, so you can only use them that way. The puzzle is rated as a level 9/10, but after solving it within 10 minutes, in no way I find it that difficult - It's a 7, at the most. Don't try to make sense of the arrangement of the pieces compared with a real piano, because you'll fail miserably. The only think you need to worry about is to make sure the white pieces are placed in such a way they always create an empty space large enough for the black pieces. From there, you just need to make slight adjustments as you try different combinations. I don't know how many different solutions are there, but judging from one comment on the store's website, at least three different configurations are possible. Can you find one? Constantin's πano is a real treat for music lovers. I used to play the piano when I was younger, and when I saw this, many great memories came flooding back. 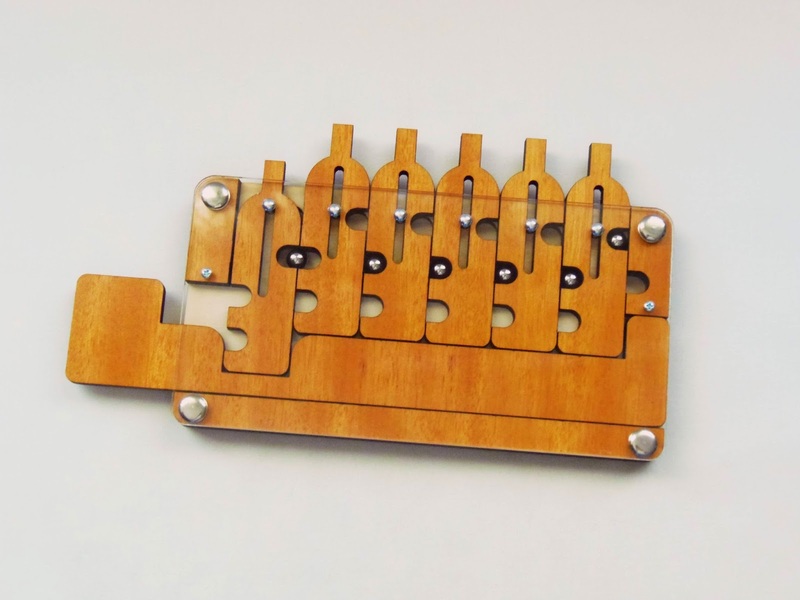 It's a great puzzle for any collection, especially if you're fond of keyboard instruments. Availability: PuzzleMaster is the place to find the πano and other great designs by Constantin. What I like most about sliding puzzles is how versatile this type of puzzles can be. I lost count a long time ago how many different concepts using sliding tiles I currently have in my collection, let alone the ones I know about but don't own yet. Jürgen Reiche from Siebenstein-Spiele is a master at designing these amazing sliding puzzles, and Up & Down, released in 2010, is a great example of his genius. The design is a little different from the traditional 8-Puzzle, or 9-Puzzle, or 3x3, where the 9 is usually absent, but not always. In this case, the 9 is indeed absent, and instead of the usual single empty slot there's actually two empty slots, one in each side. The frame slides up and down - hence the name - and whenever you push the frame to the top or the bottom you can slide one tile to the available free space. There's a catch, though, since you can only have one tile occupying one slot at a time. Also, when you have one of the side slots occupied you can't move the frame, only the tiles in the middle. The goal of the puzzle is to reorder the numbers from 1 to 8 as seen in the photo below. The logic required to solve any slide puzzle is basically the same, no matter how different they may appear. However, even if you know the logic, it can still be quite challenging to solve a sliding puzzle until you know how the mechanism affects the movement of the pieces. 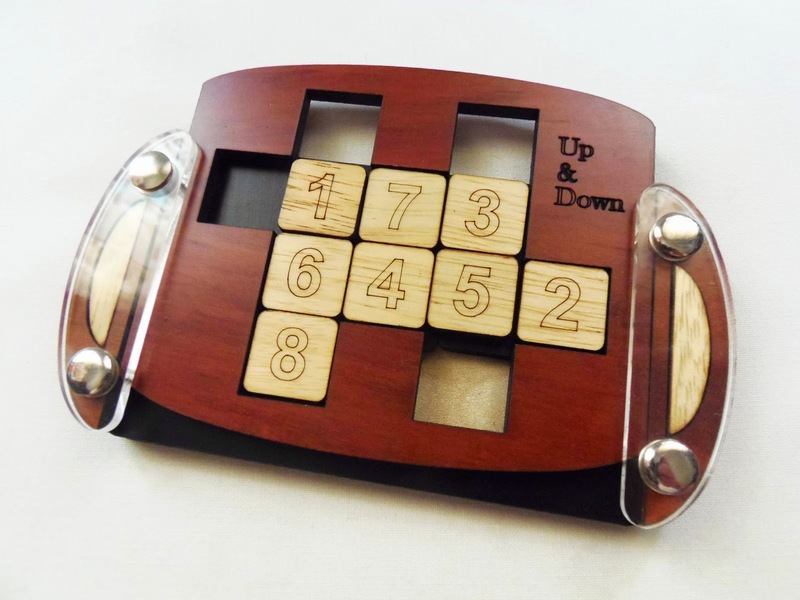 The Up & Down puzzle is rated by the manufacturer as a 7 - the hardest on their scale of 1-7. Honestly, I didn't find the puzzle that challenging. I'd rate it as a 4, tops, since it took me about 5 minutes to solve it. The idea to solve it is to get the first set of numbers (1-3) in their corresponding positions. The rest becomes easier, as you'll only have five tiles to worry about afterwards. I believe it's possible to arrange the tiles in other configurations - like the first three numbers on top - but I haven't tried it yet. Up & Down is a nice change from other more traditional designs. It's not as challenging as they put it, but it can still bring you some fun. If you're like me and you're crazy about sliding puzzles, give this one a try and I'm sure you won't regret it. Availability: You can find the Up & Down by Siebenstein-Spiele at Brilliant Puzzles for $36.95 USD. 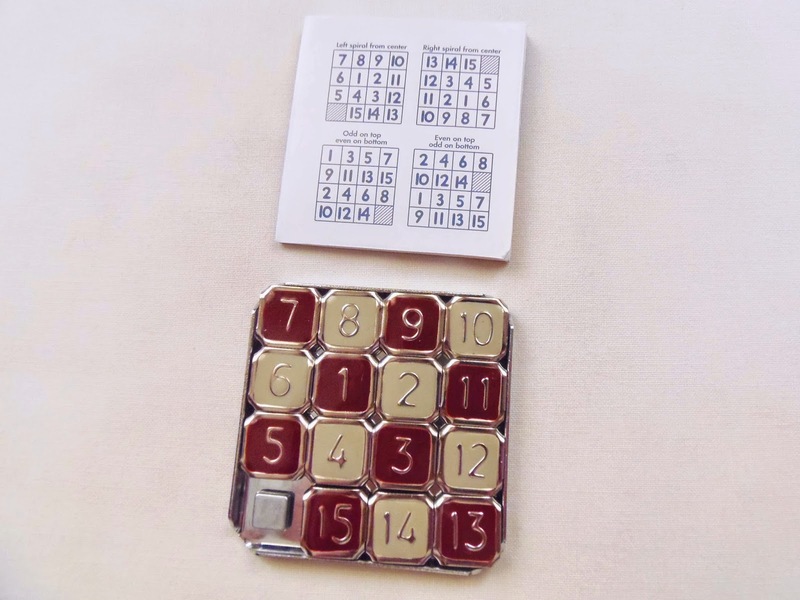 The Fifteen Puzzle is, to this day, one of the most recognizable puzzles of all time. 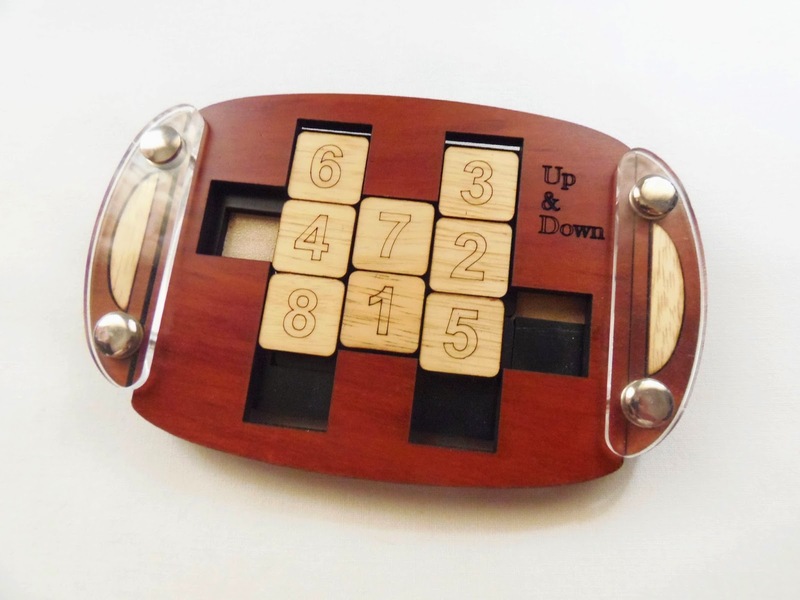 With its origins dating back to 1880, the original designer is still a topic of debate, although many say it was invented by Sam Loyd, one of the greatest American puzzle inventors. The version you see in the photo, by ThinkFun, is actually a remake of an old puzzle called "The IMP" from 1933. Made from stainless steel and decorated with enamel (melted powdered glass), the puzzle keeps the original design intact and true to its origins. 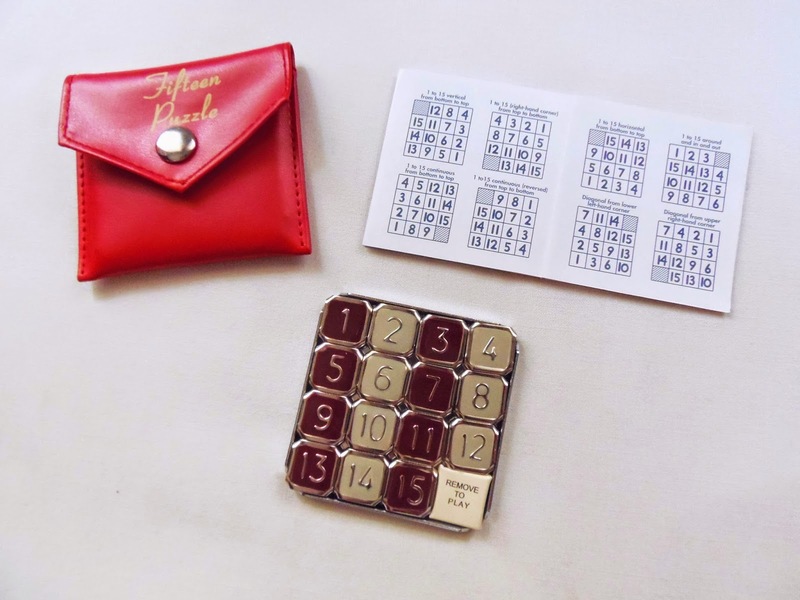 The result is a retro-looking puzzle, and due to its small size (6cm - 2.3") it's perfect to take with you on long travels. It comes with a travel case and an instruction booklet with over 30 challenges to solve. The sliding movement of the tiles, contrary to what's advertised on the package, is not very smooth. In fact, the small sliding squares keep getting jammed and stuck all the time with each other, which is a little frustrating and distracting, when you're trying to solve a specific pattern, needing to concentrate and try not to lose your train of thought. Despite the fact that it was a bit difficult to move the sliding tiles, it didn't deter me from solving several challenges that came with the puzzle. I love sliding puzzles, and whenever I get the chance to play with one, it's always a pleasure. The challenges vary slightly from one another, with variations in order of sequence from top or bottom, etc... They don't differ much in terms of difficulty, though. If you know how to solve a classic sliding puzzle - whether it's a 9 or a 15 puzzle or any other combination - you won't have much trouble to solve any of the 30+ challenges available to you. It's the first time I've seen such challenges compiled for a sliding puzzle, actually, so I had a blast solving many different patterns and sequences. 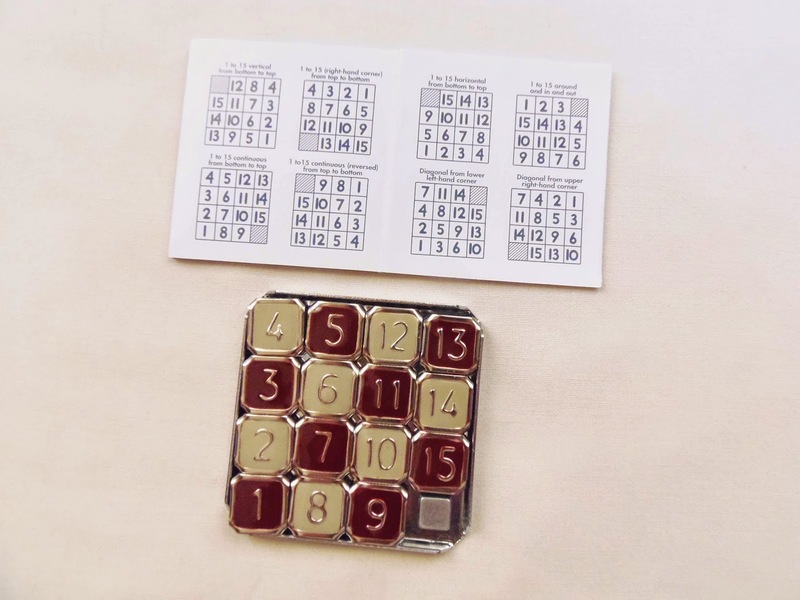 The Fifteen Puzzle is the real deal when it comes to sliding puzzles and a classic in its own merit, which was responsible for so many other variations you see today, with images and symbols and many other designs. If you want the original with a touch of modernity, the ThinkFun version is the way to go. 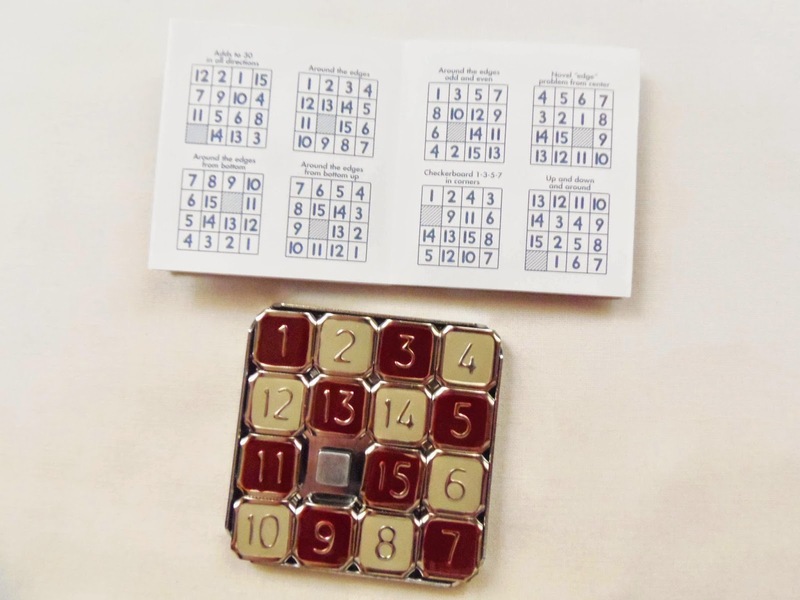 Availability: The Fifteen Puzzle is available at PuzzleMaster for just $16 CAD. You can also get a comprehensive study on the puzzle by purchasing the book by Jerry Slocum - The Fifteen Puzzle Book.